In recent years real estate has become more specialized, in terms of trends, prices, and neighborhood characteristics, from architectural styles to area-sourced building materials, to a connection with native plantings and topography, and this includes amenities—such as pools in warm climates and fireplaces in those regions where temperatures dip. With greater niche-segmentation has come specialization of Realtors® who often limit their focus on, perhaps, starter homes, senior citizen communities or high-end luxury properties. 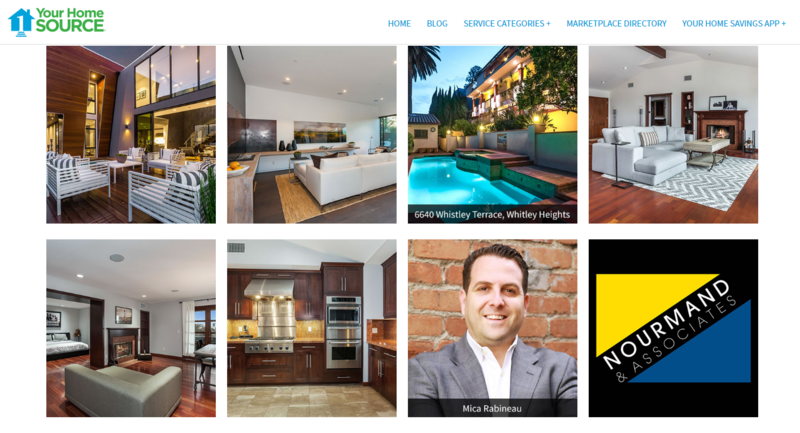 Mica Rabineau, a salesman with Nourmand & Associates, a family-owned and operated luxury real estate boutique in Los Angeles, has focused on the luxury niche for his 12 years in business and has sold more than $150 million, primarily in the West Hollywood, Beverly Hills, and West Los Angeles neighborhoods. His clients have included mostly actors, musicians, and high-profile entertainment industry professionals. Prices in these areas have been trending up for the last six to seven years, he says, and a true luxury home now hovers at a starting price of about $2 million and goes up from there, all the way to $250 million! For Rabineau, this market appeals because it represents the best homes in the finest areas. "Nobody wants to sell $500,000 condos their entire life since there is just not much excitement around these listings long-term," he says. But to get the higher-end listings to market requires having all the photos just right--good lighting and angles, writing the best targeted descriptions, preparing advertising, and showing the homes discreetly since some homeowners don't want their identities revealed. "It’s just a totally different ball game in the L.A. market since there's so much money with a lot of competition in what's now a very hot market," he says. While luxury was once defined by older homes in decades past – many luxury homes in his target areas now include new modern architectural houses in such areas as Hancock Park, known for being the original old Hollywood and part of the city of Los Angeles. Most of his luxury listings, however, are located in more suburban areas where more land is available since an acre or more is often desired for privacy and the hottest outdoor amenities. This is tough to find in the city limits except at exorbitant prices or if a teardown can be done. Rules have become restrictive regarding what can be torn down and what may be built in its place, due to the "McMansion policies" in several areas to curtail building "anything, everywhere," Rabineau says. "Ranch" areas in more distant locales such as Hidden Hills have also gained in popularity because they offer more land and greater privacy. The prices are also half the cost of those in the city and suburbs, The downside: a longer 25-minute-plus drive to downtown L.A.
Two of Rabineau's active listings reflect these trends, and what most appeals now to L.A. buyers entering this price range. Despite differences in style, size, and amenities, all reflect move-in condition, a must for buyers these days since people are busy working and want turn-key properties that involve little or no remodeling, says Rabineau. Technology is another essential so homeowners can utilize the latest in gadgets and systems in their homes, with access from smart phones or pads to control their lights, heating & air conditioning, garage door, alarm system, etc. Not seeing neighbors has also become more sought after for privacy and quiet. And lastly, investors are actively entering this market to be able to buy and lease out listings for those eager to live in them but not commit to ownership. 349 S. Mansfield, Hancock Park. This 4,154-square-foot, two-story, cutting-edge-style home on one-third acre was listed last Christmas for $3.149 million. With four bedrooms, a home office, and six bathrooms. Architect Amit Apel designed the house to appeal to those wanting all the latest exterior construction materials such as stucco, glass and varnished oak, plus an easy flow between indoor and outdoor areas. Sliding doors lead from the living room to a large wood deck with views back into the house including its modern floating, glass-lined stairway and outdoors to the rear pool, sitting and dining areas. Inside, other, now popular modern features include a two-story living room, open kitchen and dining area with chef's Bulthaup Italian cabinets in shades of both trendy gray and white, a double oven, center island with built-in-seating at two counter heights, and pocket doors to the back yard. The upstairs includes three bedrooms, plus a spacious master suite with walk-in closet and en-suite bathroom boasting dual sinks, separate tub and open contemporary shower. What makes the house so novel is its openness and striking modern design. The likely buyer will be a young couple or young single person between the ages of 25 and 35. 6640 Whistley Terrace, Whitley Heights. With a slightly larger footprint of 4,350 square feet, but a lower price just shy of $2 million, this 1958 house went on the market in early January. Among its prime features are its views of Hollywood, all the way toward downtown L.A. with the ocean and observatory in view in between. The Mediterranean-inspired three-story design in its historic neighborhood sits on a smaller site due to its city location, close to restaurants, shopping, and nightlife. This location will appeal to those interested in being able to walk rather than drive all the time, a growing trend for urban buyers across the country. This home was designed for those with more traditional, old-world taste. Its gated entry and lush hedges give the home an air of privacy at the front, and the saltwater lap pool, spa and outdoor kitchen at the rear of the home are also shielded by mature landscaping for additional privacy. The backyard is ideal for entertaining at night, and includes a guest cottage. Guests such as parents, friends or grown children are just a few steps away from the main residence. Inside, the home has equally appealing amenities – including 5 bedrooms, 5 1/2 baths, and an open-style floor plan with cook's kitchen, high-end stainless steel appliances, dark cabinetry, large breakfast bar, marble countertops, plus custom iron work, three fireplaces, a great room with wood floors and overhead beams, media room, sound studio, and wine room. The master bedroom has an adjacent seating room with fireplace. With increased overall interest in energy efficiency, this home was updated with roof-top solar panels. This property may also appeal to a family because of the number of bedrooms, layout and its walkable neighborhood, near the Hollywood Bowl, Rabineau says. Rabineau is marketing properties with full-page color ads in the MLS, runs ads in the Los Angeles Times newspaper, delivers brochures and flyers to neighbors and area businesses, and uses technology to email, text and cycle ads on social media to reach other Realtors® with potential buyers. Recently he has begun to use a drone to video his listings because the Internet has become such a powerful tool for potential buyers to gain a close-up view of a home, inside and outside. Drone videos are so clear that people feel like they are strolling through the home in person rather than touring the home from afar.